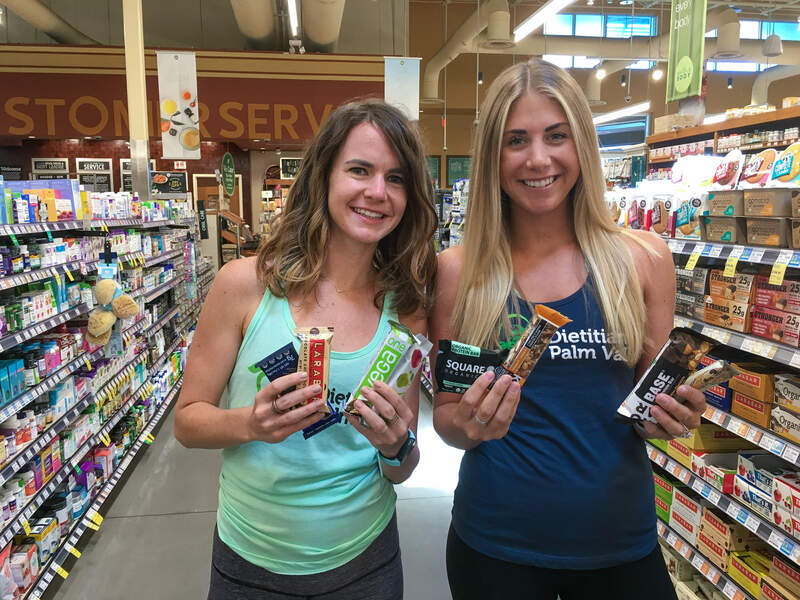 Grocery store aisles are packed with so many snack bars: nutrition bars, granola bars, energy bars, and fruit-and-nut bars. How are you supposed to know what is healthy and what to stay away from? With claims such as “all-natural” and “good for your heart” on the front of the package they must be healthy, right? Unfortunately, that is not always the case. The food industry is really good at making healthy-looking packaging. Once you flip the products over and read the nutrition facts label you will see processed sugar hidden throughout the ingredient list. It’s rare these days to actually see the word “sugar” on a snack bar label. Companies know that most people won’t grab a bar when consumers see “sugar” as one of the first ingredients on the label. Nowadays, “healthy-sounding” ingredients are typically found on the label such as…evaporated cane juice, agave nectar, and barley malt syrup. Guess what? They’re all forms of sugar! When it comes to sweeteners, try to keep the sugar natural, such as raw honey or dates. 1.) KIND Bars: The KIND brand has many products ranging from granola to bite sized snacks. Fruit & Nut Bars: This line of bars has a nice balance of protein, carbohydrates, and fats. These bars keep your blood sugar regulated and keep you feeling full for hours. Look for the specific flavors that indicates < 5 g of sugar or less. STRONG Bars: This line of bars is similar to the Fruit & Nut bars but contains a good 3-5 more grams of protein. KIND adds a vegan pea protein to give you the extra burst of protein. Pressed: This line of bars is made up of only fruits and veggies. This is a great burst of carbs before a workout or could be used alongside a protein rich snack. 2.) 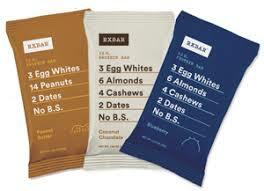 RX Bars: These bars are an awesome combination of egg whites, nuts, dates, and no BS! They have an extremely short ingredient list—as I dietitian, that is what I love to see on products! 3.) Go Macro Bar: This line of bars is quite “clean”—gluten free, soy-free, dairy0-free, non-GMO, certified vegan, and certified organic. This brand carries tons of different flavors to satisfy all consumers. With most of the protein coming from nuts and nut butters, it’s a very filling and delicious option! 4.) Avalanche (Nut-Free) Bars: For my clients allergic to nuts, I highly recommend this line of bars. The company was born as a labor of a mother’s love. The owner’s eldest son is severely allergic to nuts and many legumes. He is so sensitive that the smallest hint of nut oil creates hours and even days of misery and recovery. Her son was so active that she knew she needed to create a bar that he could take on the go and not have to worry about having an allergic reaction. The bars are loaded with natural ingredients such as rolled oats, flax seeds, sunflower seeds, honey, and real fruit. 5.) The Perfect Bar: This bar claims to be the “freshest” bar on the market because it is found in the refrigeration section in the grocery store. 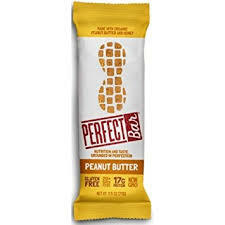 They pride themselves on being non-GMO, sweetened with organic honey, containing whole food protein, containing 20 super foods, and being certified gluten-free. These bars are undeniably delicious with a super clean label. These are just five out of our many favorite bars that we recommend to our clients. 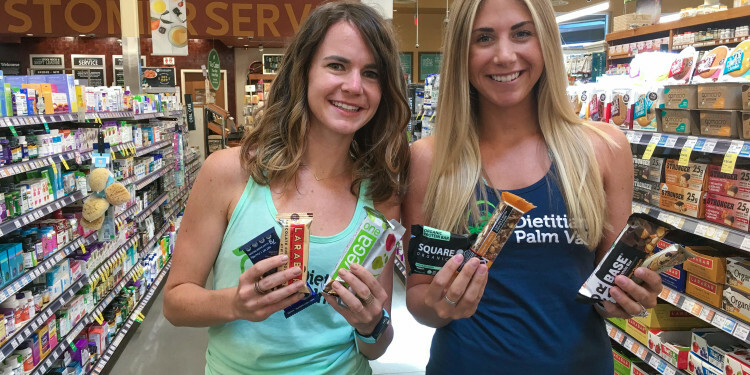 A few other bars we love: Square Organics, That’s It, Vega, Power Bar! There are tons of bars that offer a variety of nutritional benefits but BE CAREFUL because there are plenty of bars that are loaded with tons of sugar and highly processed! Have questions about specific bars? Click here to contact the Dietitians of Palm Valley today! Best Nutrition Bar from 904Fitness on Vimeo.